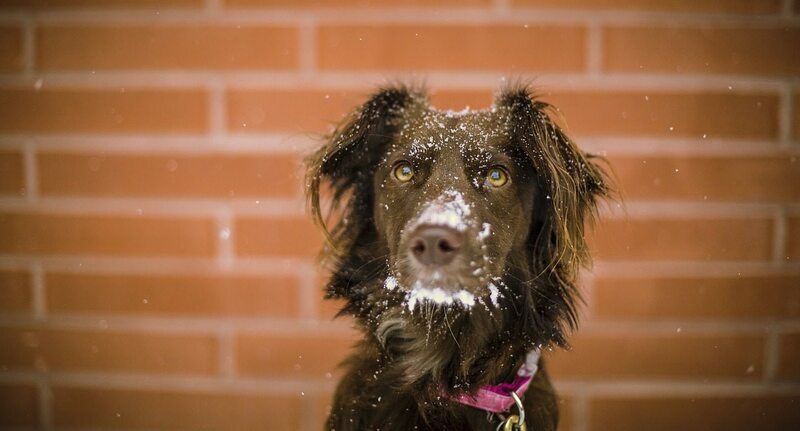 As extreme winter weather continues to bring snow, ice and below average temperatures across the country, many people are wondering what to do about their pets. For those pet owners with animals that spend partial time outdoors, these weather conditions can be a cause for concern. When is it too cold for a dog to be outside in its doghouse? Many people reason that dogs have fur coats and that many animals spend their entire lives outdoors, so it must be OK for a pup to be outside in the winter. They may throw an extra blanket in the doghouse or even a heating lamp, but with those bases covered, the dog should be fine … right? Not really. In fact, one veterinarian, Dr. Ernie Ward, was so committed to making dog owners realize that it is not okay to leave your pup outside in freezing temps that he went to extreme measures: He decided to get into a doghouse and stay in there as long as he could stand the frigid temperatures. Ward bundled up in a thick winter coat, hat, gloves and other cold-weather gear, and then he crawled into a doghouse to endure the long, cold night. However, he ended up only lasting four hours, as he eventually could no longer take the brutal cold. As he discovered, it took less than 30 minutes for the temperature in the doghouse to dip to 20 degrees Fahrenheit, and even with all the extra layers he had on, Ward’s extremities started to feel numb. At the end of four hours, the temperature inside the doghouse was 15 degrees Fahrenheit, and Ward was uncontrollably shivering. You might be thinking that this because humans are not equipped to handle cold the way dogs do. However, Ward says that is simply not the case. In fact, just like human beings, dogs (and cats) can develop hypothermia and frostbite. And if dogs have existing conditions like arthritis, the cold weather can make their pain worse. To put it simply, if it is too cold for YOU to spend the night outside, it is too cold for your pets. This handy chart from Petplan will help you understand how long your dog should be outside in extreme temperatures. But, ultimately, we need to remember that dogs do not have superhuman abilities to withstand the cold. They need protection from the elements, just as we do.